Nowadays WhatsApp status is very popular and every WhatsApp user uses WhatsApp status. Not only WhatsApp, the but status feature is also popular in every platform like Facebook, Instagram. Here, we show something about WhatsApp status. Many users want to create a WhatsApp status video. 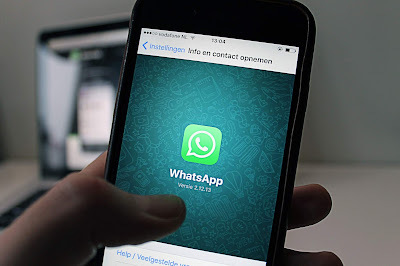 Here, we give you full information, how to create your won WhatsApp status. At first, go to Google Play Store and search KineMaster-Pro Video Editor, then install the app. Open KineMaster app and open a new project. Click on media then choose your favorite background image or video, whatever you want. Here, you should give the 30 second time limit of the background image or if use video then trims the video in 30 seconds because WhatsApp status does not support over 30-second video. Then click on the layer, find text option and click on it, now you can write anything (also give an emoji) you want on video (like song lyrics, something like that). Then resize the text, give background color of the text and also give animation to the text to enhance the status video. If you want to add your image and video, you can do by click on the layer, click on media and choose any video or image from your phone storage. Now, if you want to add audio then click on Audio and choose your favorite audio from phone storage and you can add audio on the video. Now all is ready and export the WhatsApp status video and use it. In this way, you can easily create a WhatsApp status video. We are all WhatsApp user use WhatsApp status and see all our's friend's status, and many times some of the WhatsApp status we liked then we reply to our friend's to send their WhatsApp status. But now I give you a trick, how to get a friend's WhatsApp status without knowing them. At first open WhatsApp and swipe to status option, then see the friends status. Now, go to File Manager and go to file manager settings, find 'Show Hidden File' and enable it. Now find WhatsApp folder in the file manager. Open WhatsApp folder >>>> click on media >>>>click statuses folder, open the statuses folder and you will get all other's user Whatsapp status, now copy your favorite WhatsApp status and paste to the other folder. Now, you can use it very easily. If the articles are helpful for you then share it with your friends and also follow us. Thanks to visiting our site.